I’ve read a lot of stories from shooters who have introduced their young proteges to deer hunting using a Ruger American .308 rifle. The gun is touted as being one of the best on the market for newer shooters for numerous reasons, including the fact that it’s easy to use and inexpensive. Don’t be fooled by the price tag, however. The gun includes the same bells and whistles you’d find on higher priced models. Ruger just likes to run the gamut when it comes to offering the public what it wants and needs. Along with various American models, Ruger offers single shot, bolt-action, and autoloading rifles to cover its bases. Read the spec sheets to find the one best suited for your day out in the field. In 1952 Winchester introduced the .308 for the iconic Winchester Model 70 bolt action rifle. It was designed to be a .30 caliber U.S. military cartridge optimized for semi-automatic and automatic firearms. While it was based on the 7.62x51mm NATO, it was released to the public two years before NATO adopted the 7.62x51mm. Many people believe that the .308 and 7.62x51mm are interchangeable, but they are not. The modern day .308 generates higher pressure than the 7.62x51mm, and therefore cannot be used in weapons chambered for the weaker cartridge. The .308 Winchester Ammo was designed for hunting. It is capable of taking down most North American game as well as game in South America, and most in Africa, due to the bullet delivering hydrostatic shock to the target. Hydrostatic shock only takes place when muzzle velocities reach over 2,000 feet per second (FPS). The impact of the bullet is said to cause instantaneous incapacitation and, more than likely, death. The muzzle velocities of the .308 ammo range between 2,600 – 2,800 FPS, providing 2,600 – 2,800-foot pounds of muzzle energy. Military and law enforcement agencies covet the .308 for its precision and accuracy. It can be used in urban situations and engage a target at 1,000 yards. The .308 is also popular among sports and competition shooters. Deer hunters are a lot like fisherman when it comes to telling tall tales and building shrines to a particular piece of equipment. 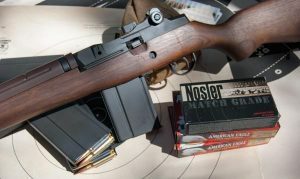 There are old timers who swear by the .308 Win in lieu of more modern or more powerful cartridges. Those in favor of larger calibers often say that the .308 can’t hit game at 1,000 yards. That may be true, but few cartridges can. In reality, most shooters are hitting targets at less than 300 yards. Anything over 500 yards will drastically deteriorate the ability of nearly any cartridge due to external factors. When asked which is the most accurate ammo on or off the range, most experts will mention the .308. It also carries less recoil than larger ammunition which only serves to increase accuracy. It shouldn’t be a surprise that Winchester would take the top spot as manufacturing the best .308 hunting ammo. The .308 Winchester is at the top of the list for hunters the world over, from the U.S. to Africa. 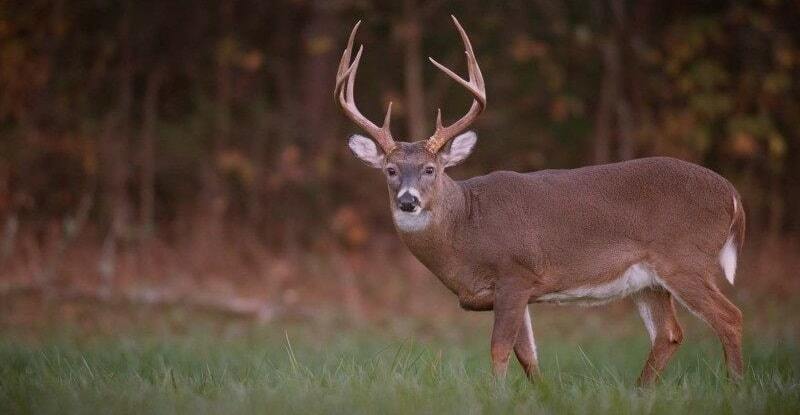 It is widely used to hunt white-tailed deer, elk, and black bear. Its high muzzle velocity will incapacitate or kill the target on contact. The Hornady .308 Win cartridge features a Super Shock Tip (SST) that is designed to take down a deer rapidly on the spot. The polymer tip causes the bullet to act as a wedge, driving deep into the target. This round is supremely accurate and rivals competitors’ cartridges. The name says it all. Unlike many .308 rounds, the Gilding Metal eXpanding (GMX) bullet is manufactured using copper alloy instead of lead. The round has a boat-tail base, polymer tip, and relief grooves to reduce friction and fouling. Federal American Eagle is a tried and true cartridge for deer hunters. This ammo is specifically designed for deer hunting, target shooting and training. It uses the same specs as Federal’s Premium loads at a more affordable price. Some consider this to be the best .308 for large game. The Nosler® Partition® was the first round developed for the Federal Premium® line, and it continues to maintain high standards for consistency and reliability. The partitioned lead core lets the front half of the bullet mushroom on impact, while the back half remains intact for deep penetration into the target. Chances are, unless you are hunting very large game, you’re unlikely to find any traces of the round remaining in the target. Created by fans of the Ruger 10/22 rifle.